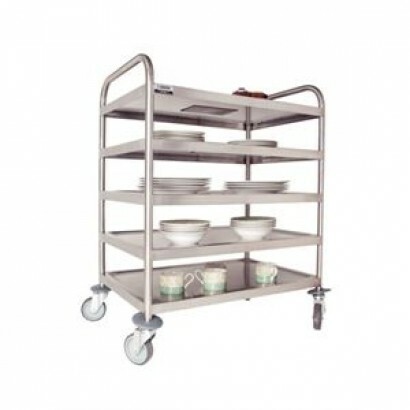 An aluminium three tier cleaning trolley with lift our trays and enamelled grey frame. 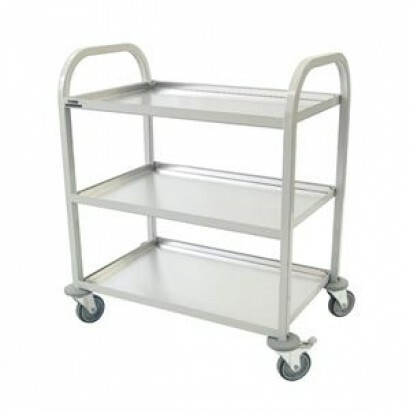 The unit also.. 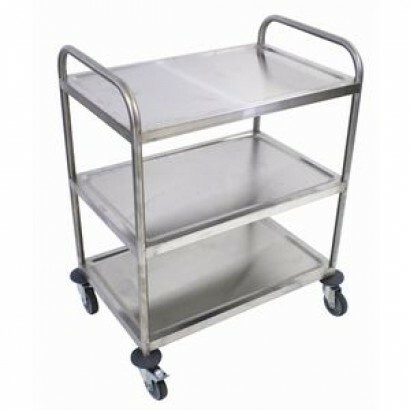 Fully welded high quality general purpose catering trolley with no assembly required, Dished trays p..
A high quality three tier catering trolley with stainless steel construction and four hardwaring cas..
A fully welded trolley for clearing or general purpose. 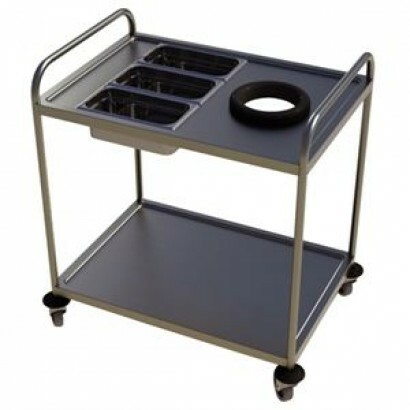 Two levels with dished trays with curved edg..